That’s two games Russell Wilson has thrown away for Seattle this season. Just like Week 2 in Chicago, he threw a pick-six against the Chargers that basically put the exclamation point on an inexplicably poor performance by Seattle’s offense in a 25-17 loss. Everyone expected Philip Rivers and the high-powered Chargers to put up yards and points on the Seahawks’ young defense, and they did for a while. But this loss really has to be pinned on Wilson and company, who — good rushing numbers aside — looked a lot like the Week 1-2 offense that failed to win in Denver or Chicago. Yeah, the defense was torched, as we thought it would be. The unit gave up a season-high 7.5 yards per play — just the eighth time a Pete Carroll defense in Seattle has been burned for at least 7 yards per play. But most of that was in the first half — the Chargers’ first two TD drives averaged 13 yards a play. The Hawks shut them out in the second half, keeping Rivers to 4 of 9 for 84 yards and sacking him twice. The Hawks had averaged over 28 points in the past three games and should have hit the 20s again — easily. But — after their initial TD drive — they insisted on a very conservative play pattern, often running on first and second downs and throwing only when they were in obvious passing situations. They ran for 154 yards, with Wilson contributing 41, but the play calling was simply very stale after the first drive and outside their three two-minute drives. Seven of their 12 possessions lasted five plays or fewer. Beyond their first drive and the two-minute situations, they had just one long drive (which ended in a missed field goal). Wilson didn’t help with an uninspired game in which he made a bunch of mental errors. He made major gambles with run audibles on two two-minute drills. At the end of the first half, Seattle trailed 19-10 and needed a TD to keep close as the Chargers prepared to get the ball first in the second half. But Wilson kept throwing the ball over the middle and calling runs, forcing the Hawks to burn all of their timeouts. 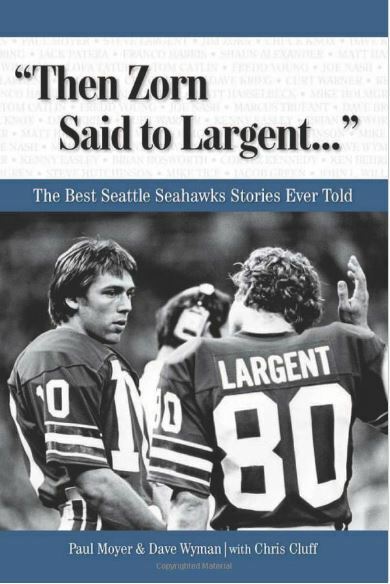 Then he threw another pass over the middle and David Moore committed a false start, burning 10 seconds and leaving Seattle with only a three-point try. In the fourth quarter, Wilson made a bad read and threw the ball right to Desmond King, who returned it 42 yards for the clinching TD. At the end of the game, Wilson called a gutsy and time-consuming run audible on fourth-and-4 and then took a sack right after that — plays that cost Seattle a full minute in game time. The lack of urgency and time awareness was appalling. Wilson managed to drive the Hawks down to a fourth-down TD pass, but the drive took an unnecessary 4:54. The Seahawks used all of their timeouts on defense, so Wilson had 1:24 to go 78 yards with only natural clock stoppers — incompletions and sideline outs. Yet the veteran QB threw middle passes three times, nearly burning out the clock. Only the pass interference by Michael Davis on Tyler Lockett in the end zone saved Wilson from his lackadaisical approach. Then, after a false start ruined the called run, Wilson failed to score the TD that might have sent it to overtime — the ball getting tipped by a defender and dropped by Moore in the back of the end zone. It was just an all-around poor game by the offense, especially OC Brian Schottenheimer and Wilson. The Chargers actually committed more penalties than the Seahawks (12 for 105 yards vs. 10 for 83) — the penultimate-play pass interference being the big one. 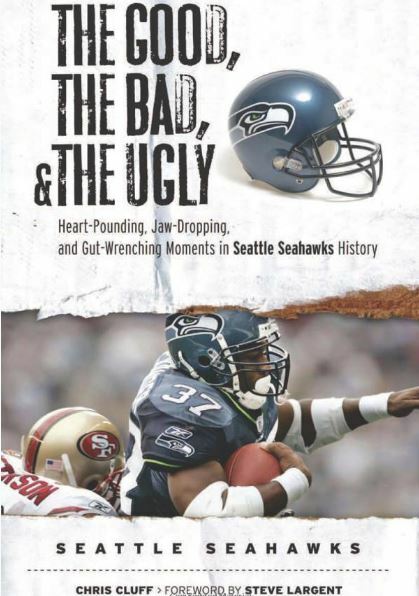 But the Seahawks admit they hurt themselves plenty with the false starts, roughness, etc. Moore’s questionable flag for a pick play in the second quarter resulted in a missed 51-yard field goal by Sebastian Janikowski. And his false start at the end of the half meant a 10-second runoff and forced Seattle to settle for three. D.J. Fluker and Justin Britt were called for roughness. Britt unwisely tried to help Doug Baldwin, who was stood up by a bunch of defenders. The whistle was blown late, but the refs threw the flag anyway. That sent the Hawks from midfield back into their own territory. They managed to get back across midfield, but then Wilson took a ridiculous 13-yard sack and they ended up punting. The refs certainly were no help, seemingly going the wrong way on a lot of close calls — including a TD by Tyrell Williams (the Chargers probably would have scored anyway, so don’t get too worked up about that one). But the Hawks had every chance to overcome those — they still could have won 20-19 — and just could not. Injury report: Bradley McDougald’s sore knee tightened up, Chris Carson left early due to his troublesome hip, and D.J. Fluker left with a calf injury. Frank Clark, who notched his eighth sack (technically 7.5), had his left shoulder wrapped in ice after the game. The Hawks deactivated Poona Ford and Nazair Jones (the latter move standard), leaving them with just two run-stopping guys, which may have played into their poor run defense. Of course, the ends and linebackers did not contain the edges either. The Seahawks won time of possession about 36 to 24. It was the 22nd time in the Wilson era they had held the ball for 35-plus minutes. They are now 19-3 in those games. 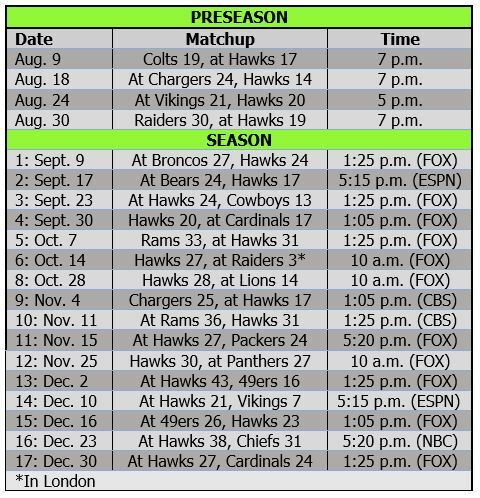 The Seahawks are 1-3 when giving up 100 rushing yards this season — all have been 146 or more. The three teams they have lost to have averaged about 28 points in those big rushing games. One big positive: Michael Dickson had a monster game. He averaged 52.8 on six punts, netting 50 and placing four inside the 20.